Rob Gronkowski has been unstoppable… when he plays. Gronkowski has been one of the most dominant players for nearly a decade. In fact, he has been the top fantasy football tight end three times in just seven years. But, injuries have taken their toll. He has missed at least one game during each of the past five seasons. A hamstring injury, pulmonary contusion and herniated disk all derailed his 2016 season. Gronkowski has had nine total surgeries since 2009. Despite all this, the 28-year-old tight end still has a current ADP in the second round. While some owners may be scared away, don’t make that same mistake. 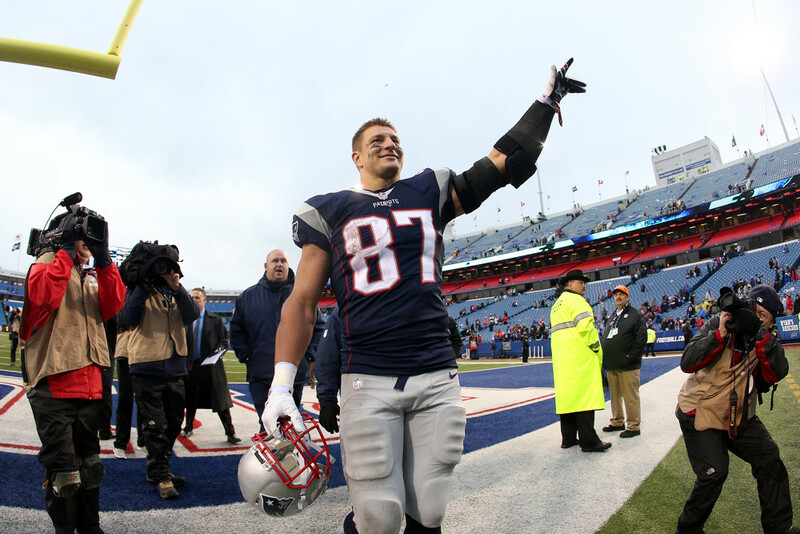 Here are four reasons why Gronkowski is still a fantasy force. Gronkowski recently restructured his contract. This new deal provides incentives based on playing time, receptions, yards and awards. While this gives him the opportunity to become the highest-paid tight end, Gronkowski is also betting on himself to stay healthy. He can only reach these benchmarks if he stays on the field. If he does, he’ll likely earn a small fortune. This is plenty of motivation going forward. Injuries have slowed down Gronkowski. But, even those can’t stop him. Gronkowski was never fully healthy last year. Yet, he still tallied 97 fantasy points in just six games. From Week 6-10, he led all tight ends in fantasy points. Pro Football Focus ranked him the second-best tight end last season when on the field. Over his career, Gronkowski has been a scoring machine. In just 88 games, he has scored 69 touchdowns. This ranks him second all-time in receiving touchdowns by age 27, sitting alongside only Randy Moss and Jerry Rice. He accomplished this despite missing almost a season and a half (24 games). Gronkowski can push any fantasy team over the top in any given week. That alone makes him worth any risk. Even though Gronkowski recently proclaimed that he’s “100 percent” healthy, there is still an undeniable risk. Yet, this threat isn’t as big as it appears. The difference between the fourth-ranked TE and the 14th last year was only 40 standard points. That’s considerably less than other positions. The difference for running backs within that same range was 90 points. Wide receivers had a 65-point spread. Simply put: Gronkowski’s potential outweighs any risk because of position scarcity. It’s more important to hit on other positions. In one tight end leagues, fantasy owners can find other options if Gronkowski does get hurt again. You know what you’re getting if Gronkowski’s on the field. But, if you’re worried he will get injured again, just plan accordingly. Whether you choose to carry a second tight end or just pick one up off the waiver wire, there will be plenty of options. Three tight ends finished in the top 10 last season despite not being ranked there during the pre-season.